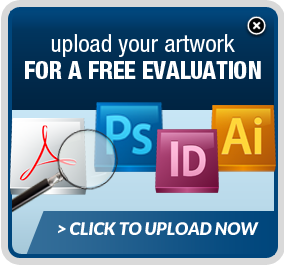 Click to upload your artwork for A FREE EVALUATION! Shipping quote is for UPS GROUND delivered to a business address (Canada=UPS Standard) For international shipping please contact our sales dept. *Quote includes one art version. For additional versions within same run contact sales dept. 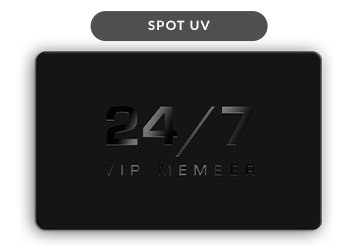 Spot UV is a thicker clearcoat applied in strategic areas of the card design to bring a slight texture and shine to the area. We have a range of foils in stock, from the usual gold and silver to a mind-boggling array of colors in the spectrum. We also have foils that have holographic imagery and other special effects. 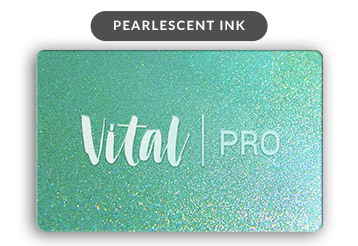 Make your cards glitter with pearlescent ink. 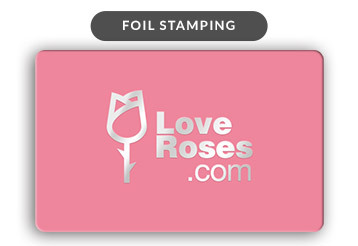 Add shimmer to your logo or other card areas. The ink can also be applied to the whole card background for an overall glitter effect. 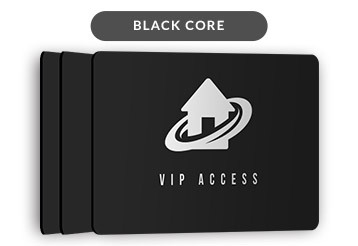 Stand out with black core cards. Premium black cards with a polished black edge. Add a metallic sheen to your cards with metallic ink. 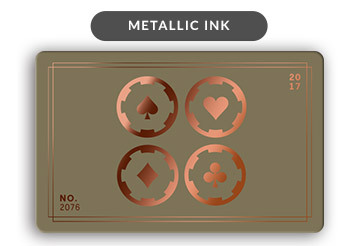 The particles in the ink reflect the light and give your cards a beautiful, metallic look. 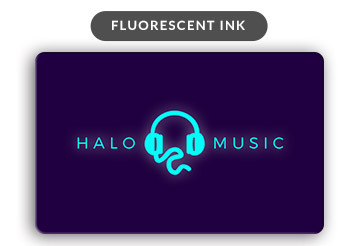 Stand out with our special line of fluorescent inks. Choose from the following fluorescent colors: yellow, orange, green, magenta, blue and purple. 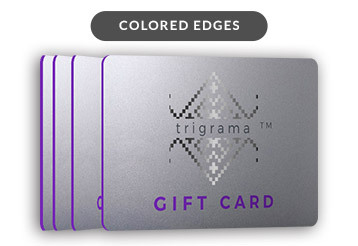 Add a custom colored edge finish to your cards. Available in various colors. What’s special about a plastic card? Custom plastic card printing is a commitment to your brand, your business and especially to your customers. All of these things in a small area of plastic that is just over 3 by 2 inches - THAT’S PRETTY SPECIAL! They’re kind of neat, you know, these plastic cards. They put your best face forward when they are designed with your logo and corporate “look and feel”. Plastic cards help you access information about your customer through a variety of media: RFID chip, magnetic stripe, barcode or simply just a number printed on the card. Plastic cards can help identify your employees to your customers. They can help identify your customers to your employees, too, for that matter. A plastic card can give you access to your hotel room. Custom printed plastic cards help you surprise a friend with a thoughtful gift. Plastic cards help you expand your business by rewarding your customer or VIP, and showing them how much they are appreciated. Custom gift cards motivate your customer to spend more with your business. CardPrinting.us knows the true value of these cards. Not to be cliché about it, they can be priceless. They can be a bridge to more business or access to important areas or information. And the bottom line is - plastic cards can be perceived as important cards, simply because of what they are made of. Your cards need to be done right. They need to be in your hands on time. That’s the bottom line. Tell us what you want to do with your plastic cards, how you want them to work. What you want them to look like. Tell us when you need them. Then let CardPrinting.us work its magic. We can help you with all these goals, and more. Rely on CardPrinting.us and its "Can Do" attitude. Just click on the chat and talk to us right now about what we can do for you. We offer you choices. We have two main types of plastic card material. Sometimes there are elements in a card order that make one base material a better choice than the other. For instance, PVC is your only option if you would like PMS or metallic ink printing. You can discover these choices through our Frequently Asked Questions (FAQ) section or by contacting one of our Card Specialists through our online chat. Custom shapes & sizes are available Custom sizes are available. 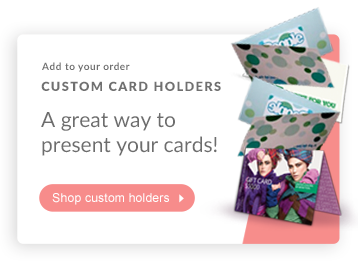 Please call us at 866-344-2300 and we will be happy to give you pricing or more information on any custom card orders. We print cards compatible with nearly all POS providers In order for your cards to successfully interact with your POS system, we will need some information that you get from your Point-of-Sale (POS) provider. We make sure our cards will work with your system by sending test cards during the printing process. Your project is assigned to one of our Card Specialists. We want to build a business relationship. Your account is assigned to one of our experienced Card Specialists. They can be a resource and advisor for you, besides someone who can take your order. Why CardPrinting.us? We know there are other choices "out there" from which to choose. We appreciate that you're considering us. So, why CardPrinting.US? The answer to that is "because we know what we’re doing." That's why so many businesses have trusted us with their card printing since 1996. Helping a business stand out from the crowd is easy. Instead of relying on traditional paper gift certificates that are often lost, damaged, accidentally thrown away or fraudulently changed, custom plastic gift card printing allows a business to provide an essential and valued service to their customers while keeping the business relevant and fun. Most customers appreciate the convenience of branded gift cards not only for giving to others but also for themselves. Increased sales. When recipients come in to redeem their card, most spend beyond the loaded value. A reusable product. Plastic cards can be reused, and more funds can be loaded. This also helps to lower your costs. To make the gift card an even more rewarding experience for customers, you can include your own specialty artwork and establish a strong brand identity that keeps clients coming back. Discover the excellent customer service provided by our highly-experienced staff, great pricing, and “can-do” attitude. Order your custom plastic card printing today from CardPrinting.us!